The Democratic Primary in White Plains will take place Tuesday, Sept. 12, with registered Democrats casting their votes for candidates to run in the November election for Mayor and Common Council in White Plains and for the candidate who will run against Westchester County Executive Rob Astorino, a Republican. The primary race in White Plains involves four seats. Incumbent Mayor Tom Roach, endorsed by the White Plains Democratic City Committee has been challenged by White Plains Councilmember Milagros Lecuona. 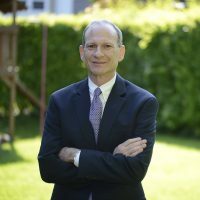 Incumbent White Plains Councilmen John Kirkpatrick and John Martin, and new candidate Justin Brasch, all also endorsed by the White Plains Democratic City, have been challenged by Common Council candidates Alan Goldman, Michael Kraver and Saad Siddiqui. 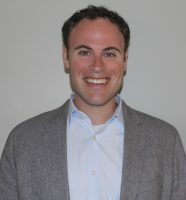 White Plains Republican Cass Cibelli has thrown his hat into the ring as a Republican candidate for Mayor. Lecuona also accepted a place on the Republican primary ballot to challenge Cibelli. The following primary preview focuses on the Democratic candidates. Each White Plains candidate was asked to answer several questions related to city issues. In the case of the County Executive primary race, both Democratic candidates Kenneth Jenkins and George Latimer were interviewed separately. In order to allow more page space for candidate responses, the questions posed to each of the White Plains candidates are presented below. They will not be repeated, but the number of the question will be presented. If the candidate chose to prepare a response without answering each question specifically, there are no numbered responses. For voters wishing to pursue more information about each candidate, a special forum will be held by the League of Women Voters of White Plains and the White Plains Council of Neighborhood Associations, Thursday, Sept. 7 from 7 to 10 p.m. at Rochambeau School Auditorium, 228 Fisher Avenue, White Plains. Why are you running for re-election or entering this political race? What are your “hot button” issues? If you are an incumbent, what have you been working on that is important for you to continue? White Plains is a city (not a town or village like many municipalities around it) and the seat of Westchester County. It has also been defined as a transportation hub and destination location. With this in mind, do you have a vision for White Plains? Traditional revenue sources have become a challenge. Do you think property taxes should go up or the “cap” maintained going forward? Do you have ideas for new revenue streams? Sustainability – what does that mean to you? Is White Plains working towards sustainability? White Plains is a 10-square-mile city with limited pubic open space. What can be done to protect the “green” open space that remains? Is the city on a track to over development? There are many more topics/issues that could be mentioned, please feel free to comment on any other White Plains issue that is core to your decision to pursue or remain in public office. Born in White Plains, resides in Westminster Ridge neighborhood. Elected to Common Council in 2001. Became acting Mayor in February 2011, won a special election shortly thereafter, was re-elected in 2013. 1.) We have a very different city now than we did seven years ago. We are a regional leader on the environment. Our economy is thriving. Businesses are flocking to our downtown and we just achieved our lowest downtown office vacancy rate in more than a decade. We’re committed to progressive values, and the principle that everyone is welcome here. We have implemented strong community policing and have low crime rates. We were one of the first cities in the state to embrace body cameras. I worked with New York State Attorney General Eric Schneiderman’s office to develop guidance for municipalities regarding President Trump’s Executive Orders on immigration. We’ve invested in our City while improving our fiscal outlook. We’ve stayed under the property tax cap every year I’ve been Mayor and our bond rating has improved to AA1 Stable. We’ve opened new parks and upgraded playgrounds and facilities like Ebersole Ice Rink. We keep our infrastructure in good shape and have expanded programming offered by the Rec and Parks Dept., Youth Bureau and Library, as well as the events offered in the downtown. 2.) We’ve worked hard to invest in the qualities that attract people and employers to our city. One of the biggest of those is our downtown transit hub – and by investing there, we’re moving away from some of the mistakes of the urban renewal period to make sure we have an active, attractive street life in our entire downtown area and that we are pedestrian and bicycle friendly. Those are assets we have right now, and my goal is to build upon those assets and strengths. We are a city where you can live minutes away from the train and minutes away from a bustling, suburban downtown, and still have all the amenities of suburban life. In many ways, we have the best of both worlds and we are going to preserve and enhance that. 3.) We are very careful about how we spend money in White Plains and we work with other entities including the County and School District to see where we can share services and cut costs. We’ve stayed under the tax cap every year I’ve been Mayor. We could not have stayed under the tax cap if we were not vigilant throughout the year in monitoring the budget. And we will continue that policy when we talk about affordability in housing. We must remember that taxes are a large component of the cost of housing. We’ve also made a concerted effort to develop new revenue streams. We directly brought in hundreds of thousands of dollars last year from film and television production, for instance, and have aggressively sought out state grants to fund important initiatives including bringing our train station and the adjoining property up to the level of the city it serves, making improvements to Court Street which will enhance it as an event space in the city, and a protected bike lane by the library. We are ensuring the City receives its fair share of revenues from developers of new projects. Companies now committed to moving to White Plains, such as Dannon, will add over 1,000 workers and counting to our downtown. Every new employee is a customer for our local small businesses and contributes to the vibrancy of our downtown that we have worked so hard to achieve. 4.) We have a responsibility to our children to leave the planet a better place than we found it. White Plains isn’t just working towards sustainability – we’re the regional leader on the issue. During my tenure as Mayor, we capped the Gedney Way Landfill, are phasing out dirty #4 and #6 home heating oils, added textile recycling to the Gedney Recycling Yard, and streamlined the solar power approval process. I also spearheaded complete streets legislation and sustainable transportation efforts such as creating the first dedicated bike lanes in the county and establishing a network of electric vehicle charging stations in municipally owned parking structures. We turned the long-held dream of Bryant-Mamaroneck Park into reality and will soon be done converting all of White Plains’ streetlights to LED. We have pledged to do our share to uphold the Paris Climate Accord and are working every day to increase the use of renewable energy. 5.) Almost all the new development in White Plains has occurred or is taking place on previously developed sites. For example, The AT&T building is being converted from offices to residential, and on Westmoreland a long vacant and decaying office building is being converted to loft style apartments. Each developer is required to pay a Parks Impact Fee, which will be used to help fund both the preservation of existing parks and open space and build new ones. By making sure development stays in our downtown area we can also ensure that it’s sustainable. Where there is the potential for public open space to be made accessible to residents, I think we should take that opportunity. If a development necessitates infrastructure enhancements we require that the developer bear the cost for those enhancements. 6.) We are a unique and diverse community that strives to live, work and play together. I have worked every day since having the honor of becoming your mayor to fortify that unique spirit. It doesn’t serve us to pit neighborhood against neighborhood or group against group. We are one city, and stronger for it. I believe my conduct in office reflects that belief. The fact that we are in a campaign doesn’t change that for me. I believe that most people in White Plains recognize how lucky we are to call it home. I want to keep working with them to make our home even better. Served on the White Plains Common Council for the past nine years. Originally from the Canary Islands, Spain. Entering public service was a natural progression given her lifelong community involvement. 1.) As an immigrant, an educator, an urban planner, and a trained architect for more than 35 years, I have the background, professional expertise and experience to take on the challenges of being the Mayor. We have had seven years of the current leadership but have not seen much progress. White Plains needs leadership with vision not just the status quo. Hot button issues: A new comprehensive plan for White Plains that encompasses sustainable economic development in all of our city’s neighborhoods and provides the vision we need to flourish in this region. Good governance that includes transparency, accountability, and heavy community outreach. A sustainable plan that addresses equity issues, true affordable housing initiatives, a healthy environment plan, and a commitment to social justice. 2.) As a trained architect and urban planner, I am schooled to envision and conceive the full potential of our neighborhoods. One example I unveiled at our first forum was a concept that linked Battle Hill to downtown White Plains. It includes open space between the two areas so residents from downtown will visit the historical White Plains and residents from Battle Hill will come into our city’s center. Another idea is to have another farmer’s market near the train station open all day on Sundays. It could attract people from outlying areas and would be easy for them to travel to get there. It would also give our own residents who do not work in White Plains during the week a chance to shop there. 3.) The state mandates a two percent tax cap and many municipalities across New York are struggling with that. There have been unintended consequences as a result of the cap that have delayed investment in infrastructure, and cuts in the city work force. The tax cap needs to be revisited at the state level with input from city government officials. While I do not want to see taxes go up, we have to recognize that city goods and services cost money. The question then becomes how do we increase our budget without raising taxes. In a city with the size and complexity of White Plains – whose financial stability depends so much on volatile sources of income such as sales taxes – it is imperative to look for more stable sources of income. In recent years, under the current mayor’s watch, the city has had to depend on 20 percent of our revenue coming from the parking department. Much of that revenue is collected from parking violations and those numbers are increasing each year. Our city cannot continue this dependency. We have to think of new ways to find resources. It is imperative that we cut down on waste in government services, and look for ways to keep good city services while being efficient and effective. Bonding has been used for capital projects and infrastructure maintenance. They finance things that will produce income down the line. If we prioritized bonding revenues they could become new sources of income and investment. Further, we have to demand new developments come to the city with a plan to pay their fair share particularly on the impact those developments have on first responder’s departments. If a development means more traffic, and overcrowding of schools, that is something we should ask the developer to address in part of their plan. 4.) As the chair of Sustainable White Plains (SWP), and as a member of the board of Directors of Center for Sustainable Design, sustainability is extremely important to me. The SWP committee has forwarded numerous recommendations to the current administration on sustainable projects but they have been ignored. This type of attitude disenfranchises residents and hampers their participation. Sustainability covers a large spectrum including the environment and equity. In the end, it all comes down to protecting and improving the quality of life for all without compromising what we leave behind for future generations. I would like to see a more progressive and proactive sustainable plan for White Plains not just a few bike lanes that go nowhere. I have prioritized the protection of open spaces. I proposed a nature center at Baldwin Farm. As a strong advocate for children with disabilities, I worked with the administration to bring ADA equipment to our parks playgrounds. I want to see community gardens in all our city parks. 5.) White Plains is a beautiful suburban city with open spaces surrounding neighborhoods. Because of its unique location White Plains is attracting development. That’s great but we have to be careful about overdevelopment. Many projects were proposed in the last few years. The large majority of these projects have not seen a shovel on the ground or a crane in the air. If all of these developments are finally built, it will be very difficult to know the consequences for our infrastructure, including how it effects school overcrowding, traffic congestion, and water capacity. This is the result of approving projects under a spot zoning where developers come in without a financial plan and are given zoning permits based on their concepts alone with no regard for the surrounding area. We need a comprehensive plan that is updated every year. A comprehensive plan allows city leaders to make decisions based on what fits on the layout of the city, the goals of the community, and other factors instead of letting developers build and worrying about the impact later. 6.) I have to talk about the development in the city. In the last seven years, I have seen the emphasis placed on luxury apartments. I want to see more of a focus placed on housing that targets families that can purchase an affordable home, have their children attend White Plains schools, and have them possibly open up a small business here. Making White Plains attractive to long-term residents who stay in White Plains and invest in our city is the kind of long term development I want to see. Longevity has it place but not in our city government. As mayor, I want to bring term limits to the city of White Plains. The mayoral and the Common Council positions will have two 4-year terms. After a four-year hiatus, those interested can run for office again. I believe having term limits helps to ensure the city is able to benefit from fresh leadership, and also sets in place a healthy political environment for governing. 1.) I am running for Common Council as a continuation of my over 30 years of public service to keep our city moving in the right direction. When I was 17, I served as an intern for then Congressman Ted Weiss. He was an inspiring public servant who believed that government can help make people’s lives better. Since then, I have worked tirelessly in the Democratic Party, serving on boards and commissions. I am particularly proud of the work that has been done in building affordable housing in White Plains — currently, the city requires 10% of newly constructed multi-family housing developments in downtown White Plains to be designated for affordable housing. As a council member, I would like to explore expanding the 10% mandate for multi-family affordable housing in downtown White Plains to the entire City. I believe we should also explore assisting existing non-profit organizations working to make affordable housing more accessible for people who need it. Since the last Presidential election, the challenges we face have grown exponentially. Hatred and intolerance are in the air, immigrants are living in fear and the federal government is proposing cuts to HUD funding that will affect youth programs in White Plains. We must ensure that White Plains remains a city where all feel welcome and safe, regardless of race, nationality, religion, gender, or sexual orientation. We must stand up for our values and work to protect the most vulnerable of our community, despite the actions of the federal government and the national Republican Party. White Plains is a strong and diverse community with a rich history and a bright future. We are heading in the right direction, and I want to help continue that momentum. 2.) Promoting the continuing growth of the City must go hand in hand with protecting residents’ quality of life. Currently, White Plains is the fastest growing city in New York State. We are attracting major corporate headquarters including Dannon and New York Life to our downtown—White Plains has achieved its lowest downtown office vacancy rate since 2006. Developers are building 4,000 units of housing downtown, at least 10% of which will be affordable housing, because our city has grown as a destination for shopping, the arts, restaurants, etc. Regarding transportation, I believe our focus should be enhancing our status as a transportation hub by working to increase accommodations for the flow of residents commuting to and from New York City, and across Westchester County. I have advocated for connecting our train station to Mamaroneck Avenue, as well as to the Battle Hill neighborhood. 3.) The existing property tax cap is necessary and should be maintained, as it prevents taxes from going up too quickly. This will enable White Plains to keep and attract people on fixed incomes, students and seniors. White Plains has stayed under the tax cap in every recent budget. We have both a relatively low tax burden and top-notch municipal services. 4.) Discussions about sustainability ultimately concern sustaining the quality of life that White Plains residents enjoy. To address sustainability is to address its two subcategories: environmental sustainability and community sustainability. Currently, White Plains works towards environmental sustainability by implementing groundbreaking environmental initiatives that have been copied by other municipalities—we were designated a Clean Energy Community by New York State. Community sustainability means preserving and enhancing our public resources –currently, developers of multi-family housing in the downtown area pay an impact fee, which goes to funding both new and existing parks, and purchasing public space. Sustainability is one of our city’s core values, and White Plains is a regional leader. We must continue our progress to ensure our city’s bright future! 5.) Development should work for every community and neighborhood. Tools like the impact fee on development, as well as open space mandates, will help us balance preserving and expanding our public space with promoting development in White Plains. Development and quality of life can and must go hand in hand. As a Member of the White Plains Planning Board, I have seen how creative zoning can help add open space. The planned rezoning of the property where the White Plains Mall is, for example, will require a publicly accessible park of almost 1 acre. This will be a new public park right in the heart of our downtown. Preventing overdevelopment and maintaining and expanding public space is certainly an issue I prioritize, and one that I will work to enhance. White Plains resident since 1988. 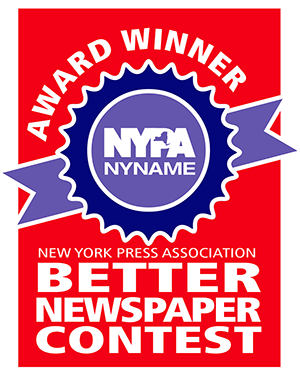 White Plains business owner since 1979. Currently COO Alloy Printing and Marketing, White Plains. 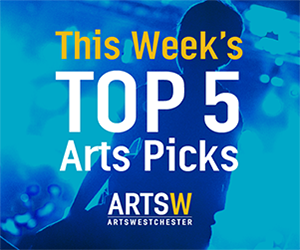 Has served on the following Boards: White Plains Performing Arts Center, Woman’s Club of White Plains, White Plains Business Improvement District, Westchester Taxi & Limousine Commission, Lifting Up Westchester (formerly Grace Community Services). 1.) For almost 10 years we’ve seen a significant decline in merchant activity downtown. The Central Business District has largely been ignored by the current administration, while they focus on large building projects on the outskirts. The result is empty storefronts and restaurants that open and close. Related partly to the above issue is the over-zealous parking enforcement, which has done nothing to attract people to our city, and in fact drives some away. This enforcement has now found its way into the neighborhoods where residents are being ticketed in front of their own houses. For too long White Plains has relied on spot zoning changes based on project proposals from large developers. Some of these never happen or take years. If we allow landlords downtown to reasonably expand the uses of their buildings – such as turn unused office space into live/work lofts — we would increase occupancy in partly empty buildings and bring more people into the downtown. This has the added effect of reducing car-usage, as people downtown are able to walk easily for shopping, restaurants and entertainment. 2.) While I like to see growth and new building in our city, much of these are premium-priced luxury rentals. This housing does bring younger couples and Millennials into our city, but on a short-term basis. And at the same time makes it harder for families and those who cannot afford $3,000+ rents to move in. I’d like to see a mix of more affordable projects, as well as finding ways to increase home ownership. More long-term residents bring more of a sense of community than just short-term renters. This will also have the benefit of increasing property values for those in the surrounding neighborhoods who have seen their values stagnate. 3.) In the past five years White Plains has seen sales tax revenue go down. At the same time Westchester County and other cities have gone up. A thriving merchant community has for a long time allowed White Plains to maintain a lower property tax threshold than other towns. We need to bring back White Plains as a shopping destination. I am sure there are places where significant savings could be found as well that would not burden the taxpayers of the city further than they are. 4.) We need to look at a long-term transformation in the way we do things. We have done some good things, but simply adding some charging stations to a parking garage is not enough. Greener building technologies should be encouraged, perhaps through an incentive program so builders have a reason to use new methods. And the same for home owners. Let’s have some sort of incentive program to get homeowners to use green technologies when remodeling or expanding. I see homes with Solar Panels increasing all the time. I also like the use of Geo-Thermal for heating/cooling where practical. The use of green space on roofing of larger buildings is another great way to combine park space. And of course more people in the downtown on a permanent basis reduces use of cars. 5.) Building on my last answer we can increase green space with new innovative park space options within new buildings downtown. We should also clean up and increase our current green space as efficiently as possible. We have a lot of acreage of wooded and potential park space that is currently underused or misused, such as around the Bronx River by the train station, which could be developed, and the proposed veterans park at the bottom of Battle Hill. And of course it is unknown as to the fate of the FASNY project slated for the huge former Ridgeway Golf Club property. 6.) White Plains is a great, small Suburban city that is consistently ranked as a top place to live in the U.S. We need to make sure that as we grow, as we build, we do not lose our identity. We are a significant part of the history of this nation, yet we have allowed old, historic buildings and homes to be razed in the name of progress. Very few homes still exist from revolutionary times. I’d like to see our history better preserved. White Plains Common Council 2012-2017. Over 45 years working for and with municipal governments on planning, environmental and land use issues, including writing Comprehensive Plans; founding member of both the American Planning Association and the American Institute of Certified Planners; member of local neighborhood associations and boards of environmental, land-use and conservation organizations. My wife and I moved to White Plains almost 45 years ago. After living in the Midwest, the south and upstate New York, we quickly decided to make this city our home. The reasons were simple. We had found that rare community where everything is close and convenient, with a diverse population, superior services, excellent schools, reliable government, diverse housing stock and reasonable taxes. Where else can you find that? Working to preserve those features has been and will continue to be the main focus of my time on the Council. White Plains has been good to me: My three kids all attended White Plains public schools. I got my law degree here. I believe in White Plains and what it stands for. And what does it stand for? It stands for diversity and an appreciation of diversity and all that brings, like real-world education for our kids. It stands for good government and excellent services, like public safety and public works that are the envy of our neighboring communities. It stands for a strong financial outlook and AA1 bond rating, the result of smart budgeting and effective negotiations. It stands for a strong and vibrant downtown surrounded by equally strong and vibrant neighborhoods. It stands for the White Plains that we all love! Where do we get the taxes to support this? First, we invest in what makes this city special and we don’t spend foolishly. We stay within the tax cap, which is supposed to be 2.0% but has been as low as 0.8%. Nevertheless, we stay within it. I am constantly watching for new revenue streams that might bring in more revenue, but we must be careful. We must make sure that the burden of those new revenue streams does not fall on the same people who are already paying taxes, and that we are always keeping this an attractive place to do business. Because of strategies like this, we are redeveloping our downtown, bringing in new jobs and new residents. Importantly, this new development is all re-development, meaning that it is on land that was already developed. These projects are actually adding open space, and making our city better for existing residents and businesses at the same time we grow. In addition, through the use of a new fee on residential developers, those developers are funding open space and affordable housing. Besides preserving the White Plains we all know and love, I am constantly working with Mayor Roach to keep White Plains in the forefront of Sustainable Communities, including converting all of our streetlights to LED, which last much longer and consume less electricity, phasing out dirty #4 and #6 heating oils, improving pedestrian safety through our complete streets policy, capping the Gedney Way Landfill, and increasing solar installations. I am continuing to work to increase the supply of fair and affordable housing, which includes continuing the successful policy of requiring all new developments to include a reasonable percentage of affordable housing, as well as increasing the percentage both in developments and in the types of developments affected. I have enjoyed being on the Council. If you vote for me, you can be certain that I will continue to work on at least five things: Comprehensive planning; protecting neighborhoods; government transparency; maintaining parks and open spaces; and controlling taxes and spending. Comprehensive plan – I was heavily involved in the 1977 plan, the 1994 plan and the 2006 plan update. I’m a professional planner. In my 10 years as a planner before I became a lawyer, I worked for a regional planning agency, a city and a consulting firm. I’ve written comprehensive plans. I’ve studied what we have and I agree totally with Chris Gomez, our city’s Planning Commissioner, that it is by and large a very good Plan. But like every plan it needs a few adjustments. We’ve done that with the train station; now we need to do it with downtown, such as: increasing pedestrian protection; preserving and bringing back the beautiful old facades; instituting more traffic calming; incentivizing small retail redevelopment; and continuously making parking friendlier. Protect neighborhoods – I researched, wrote and pushed to passage the recent legislation to prevent burning trash and the like in fireplaces – which produces terrible air pollution. Likewise, at the suggestion of the Gedney Association, I researched, wrote and pushed to passage the recent zoning amendments that will force the local garden centers to scale back from their dusty, noisy soil manufacturing operations. These activities are very detrimental to their neighbors. Transparency in government – I will continue to do everything I can to involve anyone who is interested in all aspects of city government. Preserve, protect and maintain our parks and open spaces. I support development that creates public open space and will continue to work with neighborhoods to maintain and improve parks and other public areas. Continue to push for cost-effective strategies to provide quality services, and thereby continue to hold down taxes and ensure fiscal stability. 1.) Of all the local issues that are important to me, two stand out: (1) our downtown has lost its momentum, and our economy has not recovered from the recession the way other local economies have, and (2) our housing market is neither maximizing value for homeowners nor creating affordable opportunities for families who want to settle here. Because our downtown is struggling, we don’t have the revenue to maintain city services at appropriate levels; for example, we have cut the number of fire fighters while our population has grown. The problems with our housing market are starting to impact our public schools. The special character of our public schools has always been that they had a diversity of students from across the many neighborhoods of White Plains. Homeowners in our more expensive neighborhoods aren’t realizing enough value to sell their homes, and don’t have options for places to move in White Plains unless they are looking for luxury rental apartments. At the same time, not enough homes are available at lower price points. As a result, our schools are at risk of losing the neighborhood diversity that historically made them so special. We still have great public schools, but it is not inevitable that they will remain great – preserving the special character of our schools should be a top priority in all decisions made by City Hall. 2.) For years, I have thought of White Plains as a unique suburban city. In fact, the website for White Plains describes it as “a suburban city with a full accompaniment of urban amenities.” The problem with the current track we are on is that we’ve been much more focused on the types of initiatives that cities generally focus on, and not focused enough on things that suburbs generally focus on. For example, we have been very focused on adding density and increasing our population with temporary residents, without giving enough attention to recruiting and retaining people who want to set roots in our community. My vision is for us to shift the balance back, so the outer neighborhoods are not left behind as the city moves into the future. 3.) I do not think property taxes should go up more than they already have. In the past few years, Westchester County has seen sales tax revenue rise, and many municipalities within Westchester County have also seen sales tax revenues rise. White Plains, in contrast, has seen sales tax revenues decline. Online shopping presents challenges to traditional retail stores, and White Plains needs to adjust to this new reality. We need to stop chasing people away from our downtown with an unfriendly parking policy, and an unwelcoming business environment. Then we can see our sales tax revenues can rise again, as other cities in Westchester are seeing sales tax revenues rise. Partially because of our revenue problem, we should also resist taking a large piece of property off of the property tax roll for the benefit of a niche private school that is tax exempt. 4 & 5.) I do not think the path we are on is sustainable. We already have significant traffic problems, and continuing to grow our population by thousands of residents every few years will make that worse. In a city like ours, protecting open space is an ongoing challenge. We need to take inventory of what open space is available, and, as part of an updated comprehensive plan, prioritize maintaining it while adding new development that fits into our character as a suburban city. 6.) One issue that I don’t believe gets discussed enough is the character of our community, and the way it is being changed by this administration’s focus on luxury rental apartment buildings. Adding multiple luxury rental apartment buildings, with plans to add more, swells our population with thousands of transient residents who are only in White Plains temporarily. The people who move into these luxury apartment buildings are generally not people who set roots here and become involved in our community, and we have seen that they do not even stimulate our local economy the way our current administration promised that they would. We should be preserving the character of our neighborhoods, and prioritizing the interests of (1) people who have lived here a while and who are looking to downsize from their current homes to homes that are smaller and cheaper, and (2) people who want to settle here over the long-term, who are not looking for small rental apartments in luxury buildings. 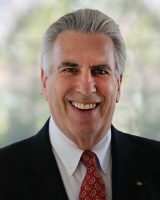 Long-time White Plains resident; current member of the White Plains Common Council; founder, All New York Title Agency, Inc.; former chair Westchester County Bar Association Real Property Law Committee; lecturer for New York State Bar Association Real Property Law Section; vice chair White Plains Urban Renewal Agency; plus numerous boards and commissions. I have a fairly long history in our city (35+ years) and have played many rolls over the years in helping to make it better. From neighborhood association president in Fisher Hill, prior Common Council service, Chair of the 1997 Comprehensive Plan and the 2006 Comprehensive Plan update, long time Treasurer and then Chair of our Business Improvement District, downtown business owner, founder and Chair of our St. Patrick’s Day Parade Committee to my current service on our Common Council, I have always sought to make our city a better place to live and work. Looking back I truly believe that I have achieved a good measure of success in this effort and hope to be able to do so for the next several years. Since 2011 I have been proud to work alongside Mayor Roach to move White Plains forward. While I have seen several mayoral administrations over the years I can confidently say that I have never seen a more open and progressive administration than that of Tom Roach. We have maintained, and, in fact, have improved city services while keeping our staffing levels at historic lows and staying within the state mandated “tax cap” each and every year I have been on the Council. We have done all of this while at the same time paying for the costs of our pensions and tax appeal refunds out of our operating budget in contrast to many other municipalities or counties which must issue long term bonds to pay these expenses. We have also improved our bonding agency rating, which has, in turn, reduced our borrowing costs. At the same time we have all four of our main unions (CSEA, PBA, PFFA and Teamsters) under fair and reasonable contracts. We have promoted reasonable development in and near our downtown, which has already begun to bear fruit. We have laid the groundwork for the redevelopment of our transit hub, which I believe will, very shortly, transform that area into one of the most desirable places in not only our city but also this region! All of our approved developments have been done with stringent controls for traffic, creation of hundreds of units of affordable housing and an emphasis on green technologies. We rebuilt the crumbling and closed Lyon Place Garage to be a state of the art parking garage. On the environmental front, we have made significant strides including the ban of numbers 4 and 6 heating oil, installation of numerous electric vehicle charging stations in our parking facilities, conversion of inefficient street lights to LED lights and we have finally capped the old landfill at the Gedney Yard. The conversion to LED street lights alone will save city taxpayers hundreds of thousands of dollars in a very short time! The landfill cap was ignored by previous administrations even though it was known to be a necessary project. Going forward, there is still much to do. We face a continuing challenge to meet the state mandated tax cap but I will work to do so by exploring additional cost savings such as our innovating “pave in place” process or look for revenue sources such as the fees we charge the motion picture industry. We must continue to find ways to keep our employee union contracts up to date and fund them within the confines of the tax cap. We have been able to do this, in part, by working with each union to achieve savings from within the contracts and I believe we should continue to do this where possible. We must continue to pursue development where it makes sense but at the same time we must continue to require developers to pay for the costs of new parkland and to provide the appropriate amount of new affordable housing within their residential sites. I will continue to assess each new proposal on its merits but also within our zoning ordinance, treating each proposal fairly and in accord with the laws of our city and state. We must support our downtown businesses where possible. I continue to support an expansion of our Business Improvement District to extend down to the important city gateway of the train station and also to extend to the White Plains Hospital area. Both of these areas deserve the attention and proven positive impact of the BID but hurdles remain. Because current state tax cap law includes even the self-assessed BID fees, I will continue to seek ways to accomplish this important goal for our downtown. We have accomplished much in the relatively short time that Mayor Roach has served as Mayor and I have served on the Council but there is so much more we can do! I am working to continue in these important tasks for all of White Plains. White Plains has so much going for it. Our City has a history of progressive values and individuality. We are a community of caring people. But we are at a crossroads and we need an infusion of new leadership. I, like many others, am concerned about where we are heading. We are seeing early signs of turning into a congested, unaffordable city. There is growing concern that we are riding the wave of past accomplishments and are losing our standing as a leader in livability in Westchester County. Too many development projects in the last decade have been geared towards building luxury rental and condominium units in the downtown area. This has resulted in a lack of available affordable housing options for many perspective White Plains residents or current residents looking to downsize. This trend is unsustainable. In the event of an economic downturn, what will happen to all of these units? Our City is only ten square miles and we run the very real risk of overdevelopment. We need to push for diversity in our development that will create a greater selection of affordable housing options. The current development trend has also taken a toll on our City’s infrastructure and resulted in congestion and traffic problems. As recently highlighted by the White Plains Firefighters, staffing shortages in the Fire Department coupled with an ever-increasing population has raised concerns about our City’s ability to protect all of its residents effectively. Going forward, we need to strike a balance between downtown development and maintaining our open spaces. We need an updated comprehensive plan that will protect our open spaces, preserve the character of our neighborhoods, and allow for development that will permit opportunities for economic growth. We must make sure that taxpayers do not shoulder the burden of increased property taxes because of our desire for economic growth. In order to better manage our City’s economic growth we must maximize existing revenue sources such as sales tax revenue. White Plains sales tax revenue has been steadily declining for years. It is easy to scapegoat e-commerce for the decline in sales tax revenue. But the rash of retail bankruptcies and store closings over the last few years in White Plains doesn’t mean consumers have abandoned in-store shopping. Certainly not when the sales tax revenue in neighboring municipalities in Westchester County is increasing. In order to maximize sales tax revenue we need to attract shoppers to our businesses and not chase them away with burdensome parking regulations. We must reevaluate our existing parking rules and see if there are ways to eliminate some of the onerous regulations which could lead to greater sales tax revenues from our downtown businesses. In order to maximize our City’s potential, the City government must be more transparent, obtain greater input from City residents, implement projects faster and more efficiently (which would be easily accomplished with a revised comprehensive plan), and eliminate unnecessary bureaucratic barriers to economic growth. With an infusion of new leadership in City Hall, we can make much greater headway in resolving these issues. I am not a politician and I have no desire to be one. I simply want to help make progress on a host of issues that is of growing concern for many of us in White Plains. For instance, while our City leadership has been progressive and welcoming to immigrants of all backgrounds, I am tremendously concerned about the disparity in treatment of the residents of different neighborhoods, both real and perceived. Consider our City’s response to the tragic death of Kenneth Chamberlain, Sr., who died in his Winbrook apartment amidst a sea of controversy. Our City failed to acknowledge and allay the concerns of the Chamberlain family and the Winbrook community, which already felt and still feels underrepresented. As a lifelong committed civil libertarian, I have wondered whether our City’s response to the loss of a life would have been the same had the incident occurred in a more affluent neighborhood. With all that is going on in our country currently and the divisions we have seen firsthand over the last several months, I want to make sure that White Plains remains a beacon of tolerance. Ultimately, I envision a White Plains that is easy to get around, has great housing options, a vibrant and diverse downtown, clearly definable and thriving neighborhoods, and excellent schools. Our Common Council needs more people on it who care about the quality of life of each White Plains resident and are committed to making sure that every segment of our community thrives. Longtime County Legislator Kenneth Jenkins wasn’t deterred when he lost out on the Democratic endorsement for county executive to state Sen. George Latimer in May. Jenkins, 56, who had announced his candidacy in August 2016 and for months was the only Democrat to commit to taking on two-term Republican incumbent Rob Astorino, has consistently maintained he wants to give Democrats a choice despite the outcome of the party’s convention. He will have that chance next Tuesday, Sept. 12 in the Democratic primary against Latimer. That record, Jenkins said, includes sponsoring or co-sponsoring measures that champions traditional Democratic progressive values. He has also fought for the proper implementation of the affordable housing settlement and supported legislation to protect the environment while exercising fiscal responsibility. He said the fiscal restraint over the past decade would still enable the county to hold taxes at or near current levels, but he would advocate for a shift in priorities to help working families and children. Jenkins said the current 27 percent payment by families should be reduced to under 20 percent with an ultimate goal of reaching 10 percent, the level that had been maintained for years stretching back to the days of former county executive Andrew O’Rourke. That remained in effect until Astorino, he said. Another initiative he would propose is taking $40 million – about 10 percent – of the Corrections Department budget to increase funding for youth programs. That investment would be a net positive, particularly for at-risk youngsters, he said. Jenkins is perhaps most critical of Astorino’s handling of the affordable housing settlement, which he described as unnecessarily combative. 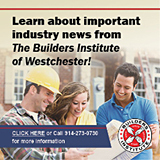 The 750 units that were required to be built is a fraction of what Westchester needs to meet demand, he said. Changing the emphasis – assisting a diverse population of people remain in the county – should be the focus. Jenkins hopes to convince at least one Republican to turn to override Astorino’s veto of the Immigrant Protection Act. If not, he vowed that he would support the bill as county executive. He disputed Astorino’s argument that the county would be less safe with the legislation, contending that without it undocumented individuals would be hesitant to seek out the police to report a crime or help authorities if they witness an offense. Jenkins also dismissed the threats of how the county could risk federal funding if, in the county executive’s words, Westchester became a sanctuary city. He said Astorino had no problem squandering $25 million in federal money for failing to fully comply with the affordable housing settlement. “If there’s an overreaching federal government on the affordable housing side, how is it not an overreaching federal government on this side?” Jenkins said. Although both Jenkins and Latimer have been cordial to one another in the campaign, he said he would be the best candidate for the Democrats because he has been focused on county issues for the past decade. “I have the understanding and experience and the best know-how to be able to defeat Rob Astorino in November,” Jenkins said. Since being elected to the state legislature, Sen. George Latimer has looked forward to his summers in odd-numbered years. The Assembly and Senate, both of which he has been a member of, typically shuts down once the session ends in June. But Latimer decided early this year that he would participate in a previously unscheduled campaign after he said he was “offended” by one action that County Executive Rob Astorino attempted – hoping to strike a long-term deal with an outside operator to run Westchester County Airport. As a Democrat, there are many issues that Latimer has disagreed with the two-term Republican, but he said Astorino made a policy decision that should have involved the Board of Legislators rather than attempting to negotiate an arrangement on his own that was designed to cover a $15 million gap in the 2017 budget. Latimer, who lives in Rye, one of the affected communities, said because the airport is successful, there is plenty of interest from operators to not only manage but grow the facility. Meanwhile, the state senator also declared that Astorino has “mismanaged” the county’s finances. Although the tax rate decreased 2 percent one year and has remained at zero the other seven, many county taxpayers have seen their taxes rise, particularly if they are part of county sewer and refuse districts. There are also critical services, such as police coverage, that are underfunded. Latimer said if elected he would audit Astorino’s budget to understand the full scope of the county’s finances. He said he would seek to restore police positions and DPW slots to help the county complete overdue capital projects. 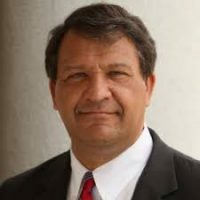 Although counties across the state, including Westchester, are now scrambling to submit a shared services plan to the state this month, Latimer said he will make studying shared services a permanent and ongoing effort between the county and its municipalities. With the controversial veto of the Immigrant Protection Act still fresh in Democrats’ minds, Latimer vowed he would support the bill next year and that he would sign it after he gives it an overall review to see if any tweaks are needed. He dismissed the argument that the county is less safe with the legislation enacted. Immigrants’ fear of speaking with police to report crimes and contribute as witnesses will be discouraged is far more likely than having Westchester become a haven for illegals. Latimer said he will encourage the development of more affordable housing in Westchester, although county and state government will need to get creative to provide the incentives for developers to build. President Donald Trump is likely to drastically cut federal funding, he said. Having more affordable housing equates to stronger economic development because residents of all income levels can remain in the county, Latimer said. “The county’s going to have to push for additional affordable housing units anywhere we can find it and anywhere we can put together the package,” he said. Latimer argued that the county executive’s mishandling of the affordable housing settlement cost Westchester $35 million in federal money. Over five years, $25 million in Community Development Block Grants were lost and $2 million a year in HOME Investment Partnerships Program grants, he said. Latimer said as county executive he would work to end hyper-partisanship by reaching out to Republicans for ideas on a regular basis, something he did as Board of Legislators chairman 20 years ago. “My basic attitude, Republican or Democrat, if a legislator has a priority I’m going to take it seriously,” Latimer said. He also reaffirmed his support for Jenkins in the general election should his challenger win next Tuesday’s primary.